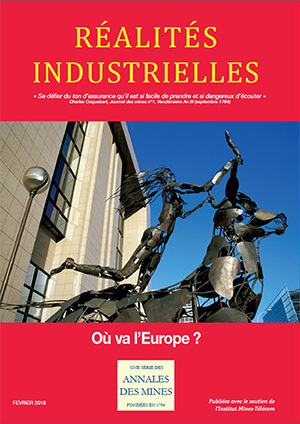 Réalités Industrielles -February 2018 - Where is Europe headed? February 2018 - Where is Europe headed? 1 - The architecture: Its perimeters? What future for digital Europe? The European Union after 2020: Which priorities for R&D and innovation? How to regulate digital platforms? A population policy for Europe?